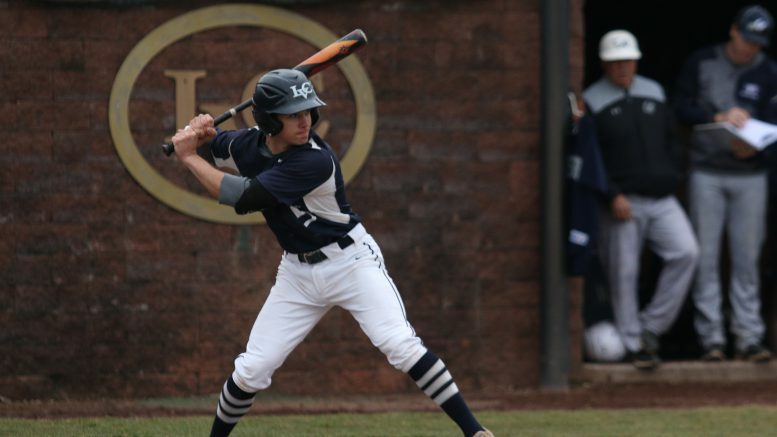 LVC’s baseball team won two out of three games against Messiah College over the weekend, improving its record to 11-10 overall. Friday’s game was one for the books, as the Dutchmen broke a seven-game losing streak and rallied back from a 3-0 deficit late in the game. While catcher Mitch Rickabaugh walked to bring in a run during the seventh inning, the eighth inning proved to shift the game in the Dutchmen’s favor. Second baseman Joey Wrabel hit an RBI single and then left fielder Ethan Hurd hit a 2 RBI double, bringing and keeping the score to 4-3. Saturday’s doubleheader was played at Messiah, as the Dutchmen split both games. LVC was victorious in the first game, 9-6, with six of its nine runs coming in the second inning. Shortstop Chris DeClerico and designated hitter TJ Holdredge each hit a home run, while center fielder Josh Herring had 3 RBIs. The second game in the doubleheader did not go as the team hoped, as the Dutchmen fell 14-5. While the scoreboard was not in the team’s favor, the team won the three-game series against Messiah, improving its MAC record to 4-5. Breaking the seven-game losing streak was something the team needed to do, and came through after its loss against Muhlenberg College last Wednesday, with a score of 10-2. The team went back to the basics of playing the game, reminding itself of its worth. LVC hopes to continue its winning ways throughout the season, as the team continues to play conference games for the majority of the remaining season. The baseball team’s next game is at Immaculata University on Tuesday, April 2 at 3:30 p.m. and can be streamed on godutchmen.com.